There was a time when I wore a long jazzy strand of pearls (or two) almost everyday. They had a very dated, 1920s kind of vibe—which, at the time, I loved. Pearls haven't been "in style" in ages. Every now and then Unkle Karl gives them a new spin at Chanel, but it doesn't usually catch on. 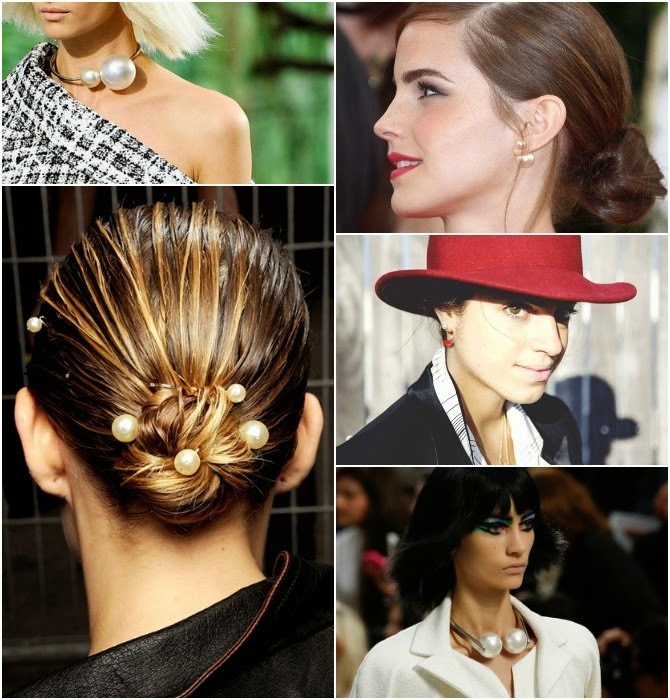 Then Dior came out with their "tribal earring," and Karl sent these kinds of pearls down the runway for Spring 2014, and suddenly these little (and big) oyster-made jewels are having a major moment. I almost like the knock off better than the chanel, I saw it and in person it kinda looks like headgear it is so chunky!